MELBOURNE recruit Michael Hibberd is still up to three weeks away from being ready to play after a slower than expected recovery from Achilles soreness. Hibberd experienced tightness through his Achilles prior to the Demons' final JLT Community Series game against West Coast and the club decided to pull him out of the match as a precaution. 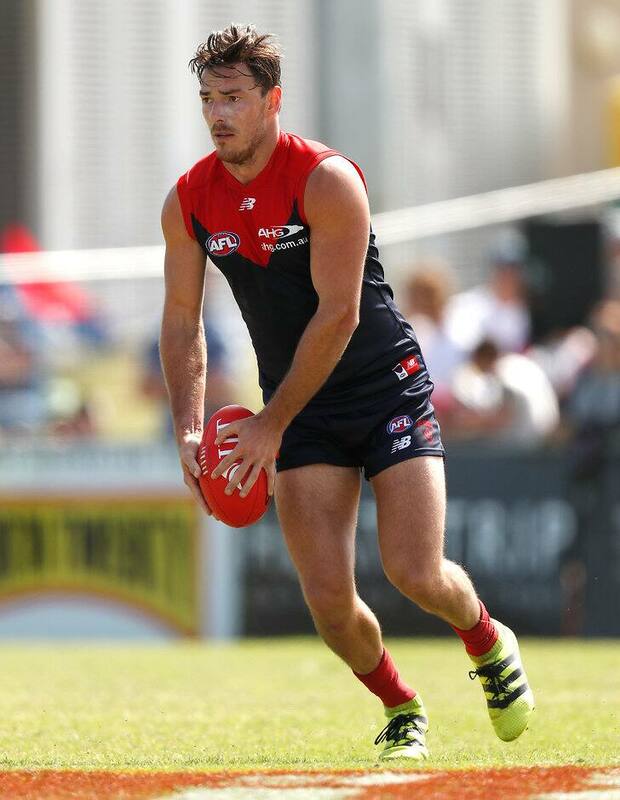 Demons elite performance manager Dave Misson said the club would be purposefully cautious with Hibberd, who was traded from Essendon in the off-season, and his return to the field. "Hibbo settled really well over the weekend and he ran well [Tuesday] but because he's been a little bit up and down, he's probably a couple of weeks away," Misson told the club's website. Aaron vandenBerg's recovery from a stress fracture in his heel is also a slow burn with his timeframe to return remaining between 4-6 weeks. "'Vanders' has that heel stress fracture and it's been a little bit slow, so he's still in a boot at the moment and will probably come out next week. He'll need a reloading program to get him up to play," Misson said. Veteran defender Colin Garland will have surgery next week officially ending his 2017 campaign after rupturing the anterior cruciate ligament in his left knee in Sunday's VFL practice match against Port Melbourne. In better news, Jay Kennedy-Harris (broken arm) and defender Josh Wagner (fractured fibula) will look to increase their workloads in the coming weeks, while defender Sam Frost (toe) could play in a practice match for Casey this weekend. "Jay Kennedy-Harris is actually going really well. He sees the surgeon early next week to get the clearance for contact, so he could actually be training with the group by next week and playing the week after that, so he's going well," Misson said. "Josh started training Tuesday, so he'll continue to do that for a couple of weeks, because he's been out now for nearly five weeks. He'll need a couple of weeks training before he comes back to play." However, promising forward Liam Hulett (hip flexor) and third-year rookie Mitch White (ankle) will miss the start of the season, along with second-year ruckman Mitch King (knee). "Liam unfortunately strained his hip flexor playing very late in the game (Sunday's VFL practice match). That's probably a 3-4 week [injury],"Misson said. "Mitch has had that ankle problem that was a little bit slow to start with, but he’s going really well now and he’s probably due to play with the group on Thursday. He’s similar to Josh Wagner and will need a couple of weeks of training before he plays."